10 Ideas For Your Perfect Pineapple Themed Party! Theme parties are always fun, and who knew the pineapple trend would last this long?! Coming up with a new idea or finding the right decor can be stressful, so ABCey is here to help! Here are 10 great ideas to help you plan the perfect pineapple party! Go figure, pineapples also make great centerpieces! Simply hallow it out and add some beautiful flowers. Can’t find any real pineapples? Don’t worry, we have solutions! 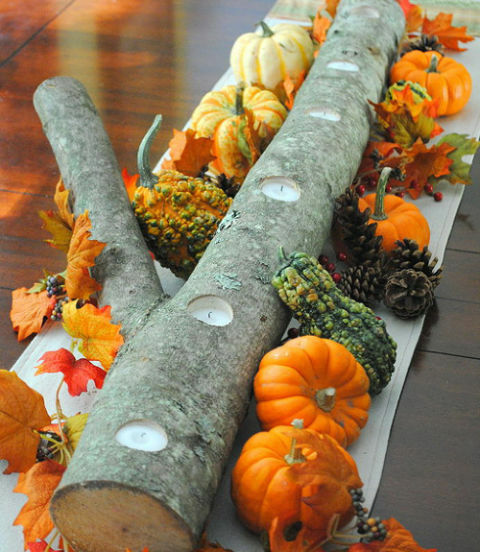 Find some pinecones to paint yellow, place some green construction paper on top and there you go! Learn to make these pinecone/apples here. If you are feeling even more artsy, you can make these fun tissue decor. All you need is yellow tissue paper, green paper, and some glue. Set these DIY pineapples on a table, and you’re all set! Turn your plain pineapples into colorful decorative pieces by painting the green stems OR spray paint them a dazzling color (like gold shown blow), add some sparkly glitter, and watch your decor shine! Want something even simpler? Turn a balloon into perfectly themed decoration by taping zigzagged green paper on top of yellow balloons. There you have it, great decor in seconds! If you’re in rush and there’s no time for a DIY, you can always find pre-made balloons! Bring more of the theme to your party with these pineapple shaped balloons or add a stylish twist with these white and gold balloons. Any option will make your party pop, literally! Decorate your walls or brighten up your backyard sky with these fun lights! Hang these pineapple lantern string lights and watch your party glow! Cover your walls or fence with these gold green and glitter garland to ensure your decorations are top notch! 8. Pineapple Confetti Sprinkle some confetti on your F&B table, and you’ll have that little something extra to impress your guests! We suggest these. Drink in style with these vibrant themed shaped cups or these fun Party Like a Pineapple cups! Keep the theme going all the way down to the straws! Turn regular straws into festive ones with these DIY origami add-ons. 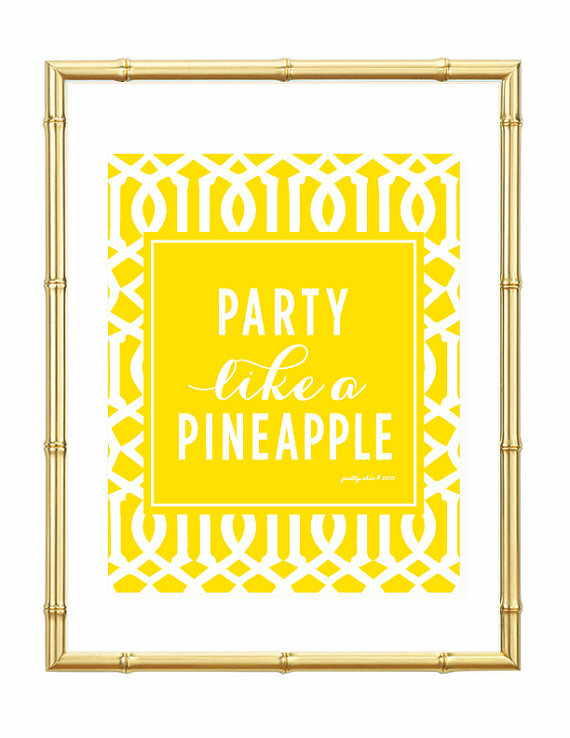 Are you ready for your pineapple themed party? Let us know in the comments below or on Facebook and Twitter!